Africa is no doubt the fastest growing continent in the world with a population of nearly 1.3 billion, growing at an average annual rate of 2.5% since the last 10 years. The growing population directly implies growing demand for food, energy, safe drinking water and health care. The growing youth population in most African countries has not been met with corresponding job opportunities within the continent to stem the incidences of high youth criminalities and quest for emigration. Infrastructures such as good road and public transportation systems, reliable power supply and affordable housing facilities, on which sustainable development can be built have not evolved with the evolving population in many Africa countries hence grossly affecting the living standard of the people. The big issue in all these is that these challenges are interdependent and intertwined. For example, widespread diseases like malaria, Ebola, trachoma, etc. have remained endemic because the environment in part remains conducive for the disease-carrying parasites to blossom. Similarly, food shortages, lack of safe drinking water, and general poverty directly account for high disease prevalence and general low-life expectancy. Addressing health care in Africa for example can only be most effective if disease-causing challenges like malnutrition, unsafe drinking water and unhealthy environment are addressed. It is therefore of utmost importance to look at sustainable development in Africa more globally as the many challenges are integrated and interlinked, thus requiring a comprehensive integrated approach. The above challenges notwithstanding, Africa remains the emerging market that will drive the world economy in the near future. All the challenges facing the continent today have created challenges as well as opportunities globally for all. Both the industry players and the academia can leverage on this while providing solutions. Solutions that are targeted towards sustainable all-inclusive growth that brings the continent to a competitive level with the rest of the world as a partner and not a mere dependant. In a few weeks from now the Pan-African Soil Challenge (PASCAL) training program will start. PASCAL is a laudable initiative of Forschungszentrum Jülich aimed at initiating knowledge and technology transfer-bridge between Germany and Africa in the areas of soil science, nutrition and hydrology. This event which will feature training on HPC-enabled terrestrial modelling and an interactive “hackathon” facilitated by Jülich scientists will bring together over 30 early-career researchers and professionals from 12 different African countries at the headquarters of West African Science Service Centre on Climate Change and Adapted Land-use (WASCAL), Accra, Ghana. PASCAL project is a successful model for cooperation with African partners, being inter-disciplinary and focused on addressing the current issues of effective land use for smart agriculture in Africa. This kind of corporation through research engagement with African institutions will support knowledge sharing and make direct impact on the lives and wellbeing of the people. Special thanks go to the organizers of PASCAL at Forschungszentrum Jülich. Its rich design and content has created a lot of enthusiasm and interest in many young Africa researchers and students giving the number of requests for participation received from across Africa. This is an examplified show of commitment of the Forschungszentrum Jülich to building a science bridge with African institutions. 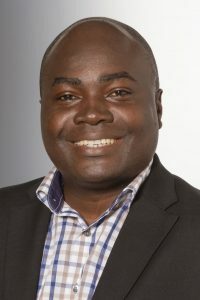 Dr. Solomon Agbo joined Forschungszentrum Jülich GmbH in 2015 as a Postdoctoral fellow of the Alexander von Humboldt foundation and worked on monolithic integration of energy harvesters with storage batteries at the Institute of Energy and Climate Research (IEK-5), Forschungszentrum Jülich GmbH. Since June 1, 2018 he works in the International relations unit where he is responsible for cooperations with Africa. Considering Africa for a host is a wonderful idea. We have glaring needs in the continent that require scientific redress, climate change being the main. Through high impact modeling and simulations, we can predict and project future behavior of phenomena as a way of increasing resilience and adaptation.